Cathay Pacific Airways turned its efforts towards cutting the costs of its compensation packages for its pilots earlier in the year and has received drastic reactions from pilots. In September, the airline urged pilots to accept pay freezes and changes in pension benefits to help save up to HK$1 billion in costs amid its ongoing restructuring of the business. Later in October, the airline informed Hong Kong-based pilots their million-dollar housing packages would be slashed as part of the airline’s cost-cutting plans. Talks to reduce pilot costs have been going on for more than four months but stalled last Thursday. According to the South China Morning Post, pilots will vote from December 13 to 27 on the option to take action, with results known on December 29. But they could strike “anytime” from December 14, if the airline forces through plans to cut pay packages. 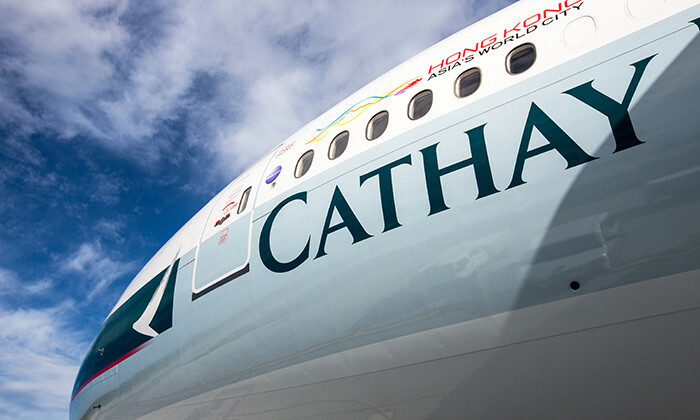 The Hong Kong Aircrew Officers Association, which represents 80% of Cathay Pacific’s pilots, told the South China Morning Post they did not want to strike, but would do so if the company forced through cuts without the agreement of its members. Both sides have until Christmas to agree to a new deal or risk a no-deal post-deadline scenario. Previously it was reported Cathay Pacific plans to cut pilot’s housing benefits, each pilot could lose perks worth up to HK$1.2 million annually. The airline also planned to slash the pay of pilots after revealing almost half of the company’s HK$19.7 billion spending on staff costs last year was on pilots. Pilots account for 14.6% of the airline’s 26,670-strong workforce. The last major industrial action taken against Cathay Pacific was in 2001, 49 pilots were fired in one day. They were fired about a week into their action. The union has a “strike fund” in place to compensate members who are fired for their role in any industrial action. Sabrina Zolkifi says it's time for HR to call job hoppers' bluff. ..
1 in 3 employees believe their boss is not always honest with them. Here's how you can cultivate a mutually trusting relationship ..